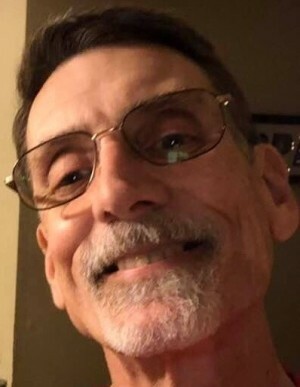 Obituary for Brian D. Clarke | Donald V. Borgwardt Funeral Home, P.A. Brian Clarke of Beltsville was born on December 2, 1960 in Washington DC to Paul and Mary Clarke. He grew up in Lanham, the oldest of 11 children and graduated from DeMatha Catholic High Scool in 1978. He later went on to earn his MBA from the University of Phoenix. He spent the last 10 years working for WMATA as a specifications writer. Aside from his well known love of cars, he was an avid music lover, listening to anything from Beethoven to Metallica. He also enjoyed football, particularly Notre Dame, the Los Angeles Rams and the Washington Valor, of which he was a season ticket holder. It was during these games where some of his best times were had with his eldest grandson, Adrian. He is survived by his wife, Debbie of 36 years; their children, Joe (fiancée, Victoria), Sean (wife, Crystal), Michael, their adopted son, Justin (wife, Ayrica); grandchildren, Chloe, Adrian, Natalie, and Jake; adopted grandchildren, Josh, Jasmyn, Jaxyn, Jada, and LJ. ; step-grandchildren, Gavin, Liam and Rese; his mother, Mary, mother in law, Deanna, father in law, Bob, brothers, Chris and Stephen, sisters, Kathleen (husband, Dane), Susan, Julie (husband, Charlie), Sharon (husband, Nathen), Shannon (husband, John), sister in law, Merri (husband, Corey), 21 nieces and nephews and Best friends, Mike and Cindy, along with many other friends. Preceded in death by his father, Paul and sisters, Bridget, Erin and Megan.